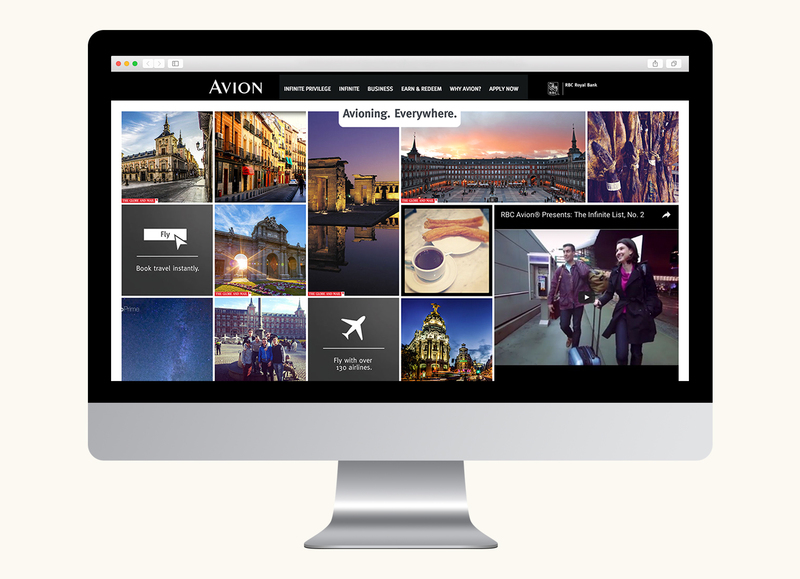 While working at GMR Marketing, I ideated and created a website for RBC that connected Avion card customers and allowed them to share their travel experiences through Twitter and Instagram travel posts with the hastag #Avioning. 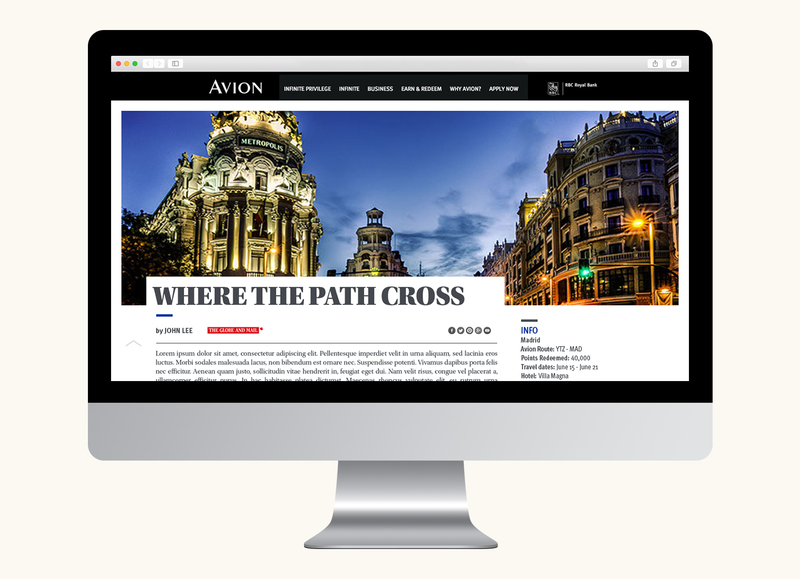 The social media posts along with articles from traveling journalists were displayed in an interactive world map based on geolocation. 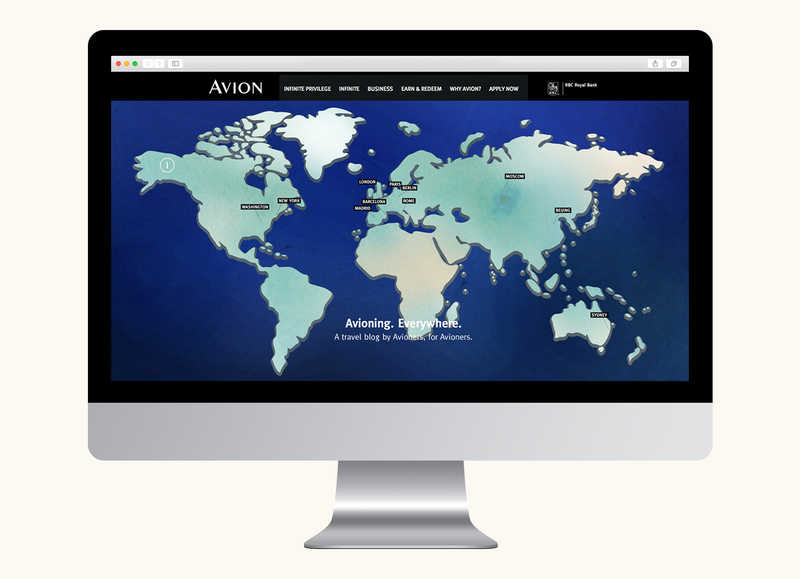 Avioners’ could click on different parts of the map to see each other’s travel adventures.